On May 11, 1962 NASA pilot Joseph Walker said that one of his tasks was to detect UFOs during his X-15 flights. He had filmed five or six UFOs during his record breaking fifty-mile-high flight in April, 1962. It was the second time he had filmed UFOs in flight. During a lecture at the Second National Conference on the Peaceful Uses of Space Research in Seattle, Washigton he said: “I don’t feel like speculating about them. All I know is what appeared on the film which was developed after the flight.” – Joseph Walker To date none of those films has been released to the public for viewing. In 1979 Maurice Chatelain, former chief of NASA Communications Systems confirmed that Armstrong had indeed reported seeing two UFOs on the rim of a crater. Chatelain believes that some UFOs may come from our own solar system — specifically Titan. “The encounter was common knowledge in NASA, but nobody has talked about it until now.” “…all Apollo and Gemini flights were followed, both at a distance and sometimes also quite closely, by space vehicles of extraterrestrial origin – flying saucers, or UFOs, if you want to call them by that name. Every time it occurred, the astronauts informed Mission Control, who then ordered absolute silence.” “I think that Walter Schirra aboard Mercury 8 was the first of the astronauts to use the code name ‘Santa Claus’ to indicate the presence of flying saucers next to space capsules. However, his announcements were barely noticed by the general public. It was a little different when James Lovell on board the Apollo 8 command module came out from behind the moon and said for everybody to hear: ‘PLEASE BE INFORMED THAT THERE IS A SANTA CLAUS.’ Even though this happened on Christmas Day 1968, many people sensed a hidden meaning in those words.” The rumors persist. 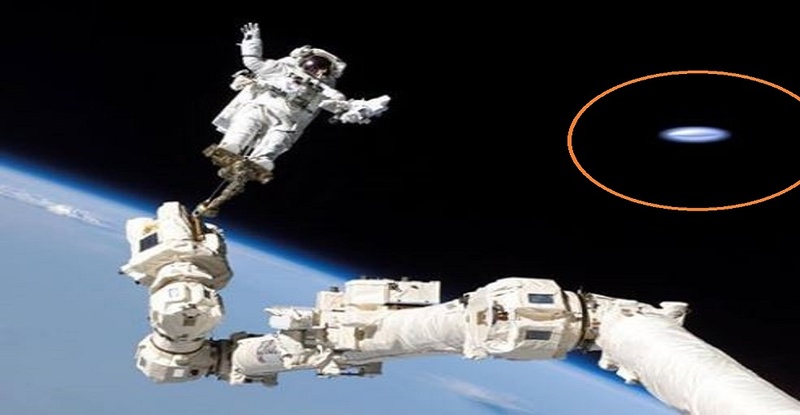 NASA may well be a civilian agency, but many of its programs are funded by the defence budget and most of the astronauts are subject to military security regulations. Apart from the fact that the National Security Agency screens all films and probably radio communications as well. We have the statements by Otto Binder, Dr. Garry Henderson and Maurice Chatelain that the astronauts were under strict orders not to discuss their sightings. And Gordon Cooper has testified to a United Nations committee that one of the astronauts actually witnessed a UFO on the ground. If there is no secrecy, why has this sighting not been made public?